JCPenney, the US department store chain, is playing catch up in the wake of a Bronze Lion being awarded for “Speed Dressing”, a television commercial in which two teenagers prepare for making love in the basement. It appears as though the advertisement was prepared by Saatchi & Saatchi New York and Epoch Films but was never approved by JC Penney, let alone aired on public television. The company is now concerned that the viral spread of the ad will damage their reputation for high standards. Too late! Despite efforts by the client and agency, the spot is likely to keep turning up on YouTube for the foreseeable future. 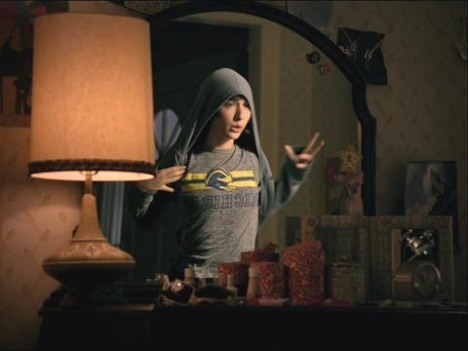 The 60 second spot shows the boy and girl each reducing the time it takes to get dressed from underwear only to a standard accepted by any parent who may happen to knock on the door. He manages to make it in 18 seconds. Fast enough to call around at her house and head down to the basement. You would think every day matters for JC Penney. It’s now three months since I first saw the JC Speed Dressing spot on Epoch Films New Work. At the time I put together a draft for this post then thought better of going any further. At the time there was no indication that the spot had been aired. 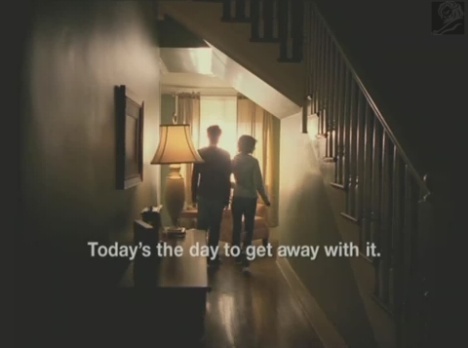 The final tagline, “Today’s the day to get away with it” has applied to every day between then and this month when the ad went public at Cannes International Advertising Festival, winning a Bronze Film Lion. According to the entry details at Cannes, the Speed Dressing spot was developed at Saatchi & Saatchi, New York, by chief creative officer Gerry Graf, executive creative director Kerry Keenan, copywriter Craig Love, art director Shayne Millington, agency producer Zamile Vilakazi, account supervisor Natasha Williamson, agency executive producer Colin Pearsall. Filming was shot by director Mike Long (Michael Long) via Epoch Films, New York, with director of photography Stephen Blackman, and editor Joe Guest. Mike Long signed up with Epoch Films after working as art director for Leo Burnett Chicago and Saatchi & Saatchi London, and creative director for Saatchi & Saatchi New York. In 2007, while at Saatchi & Saatchi NY, Long helped make over JC Penney’s brand image with the “Everyday Matters” campaign, a series of what he calls “mini-films”. See Calendar House, Aviator, Magic, Heart Doodle, Zombies, Crowd Surfing and Train Station. Once Long began as a director (a long time ambition) at Epoch Films, he put together “Wake Up“, an eerie spot about a mother’s pre-dawn rush to get to JC Penney’s Black Friday sale.